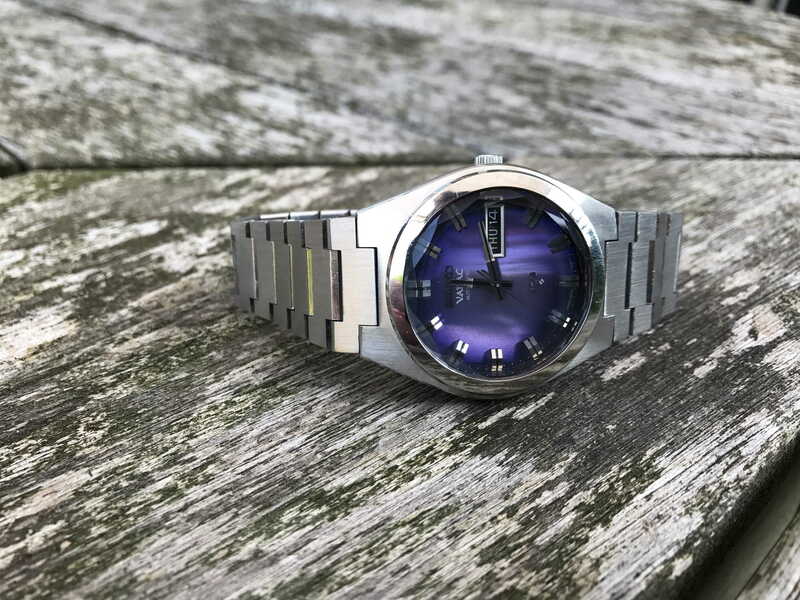 The King Seiko<\/a> Vanac was manufactured between 1972 and 1974 only<\/i>, in a number of variations, but all sporting colorful dials, facetted crystals and angular cases. Both Seiko<\/a> production plants contributed, Suwa with the standard KS 5626 caliber<\/a> and Daini with the 5246 and 5256 calibers that exist in some normal KS but are most common as Vanacs. A Vanac is basically\/exceptionally a KS with added extras: faceted glass, a gold bezel, a high quality bracelet (no folded metal links here) and drilled lugholes (but not all). The Vanac JDM (Japanese Domestic Model) in the photos below is practically unused, meaning that is has seen some use but only on occasions. It sure looks the part! King Seiko was second to the Grand Seiko as top of the line Seiko during the 1960\u2019s and 70\u2019s. That, I am happy to state, is very apparent, for even after 42 years of service a KS can run as new to specifications (as most in my collection do). Only one other watch surpasses this performance, and it is a Seiko (of course). Some of the models (but not this one) feature an unique external adjusting screw so that the movement can be adjusted with out removing the movement from the case. That would be the 5626-7000\/7010. 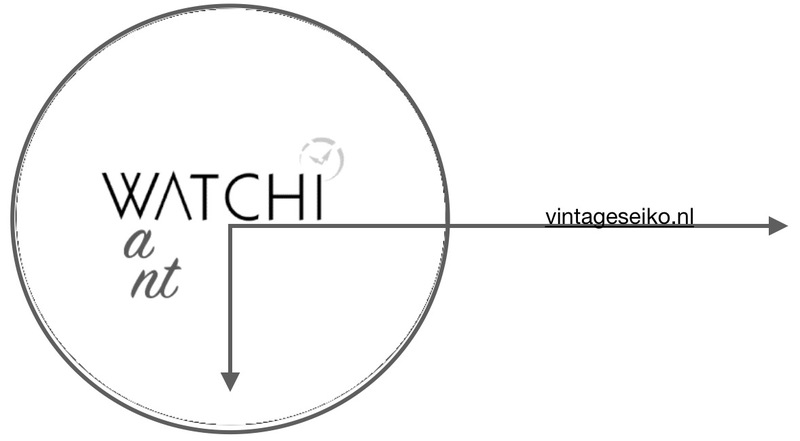 As one can see, Vanacs are quality watches with a lot of effort put into the bracelets. Other details such as cases, hands and dials are really 70s GS quality. The size is normal 70s at 36-38mm, but most do not wear small due to the chunky cases. The Vanac is not uncommon, but can be very hard to find in good condition. The facetted crystals are often damaged and can be harder to find replacements for. 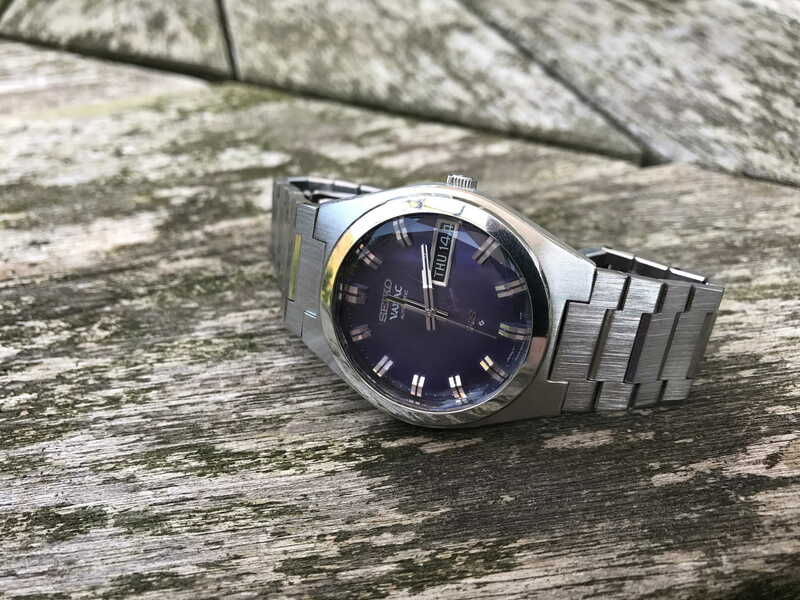 Of course much of what has been said about automatic King Seikos could also be said about automatic Grand Seikos and even some of the Lordmatic (LM) models of the same period. The LM range also used both the 56xx and 52xx movement streams (although lower grade versions, and in the case of the 5606 lower beat), while many Grand Seikos of the period used the 56xx stream. Although the GS 56xx movements were numbered 564x rather than 562x indicating a higher quality and\/or level of adjustment, the accuracy it is possible to achieve from 562x KS movements suggests to me that if serviced and adjusted, they are effectively equal to the GS 564x ones. 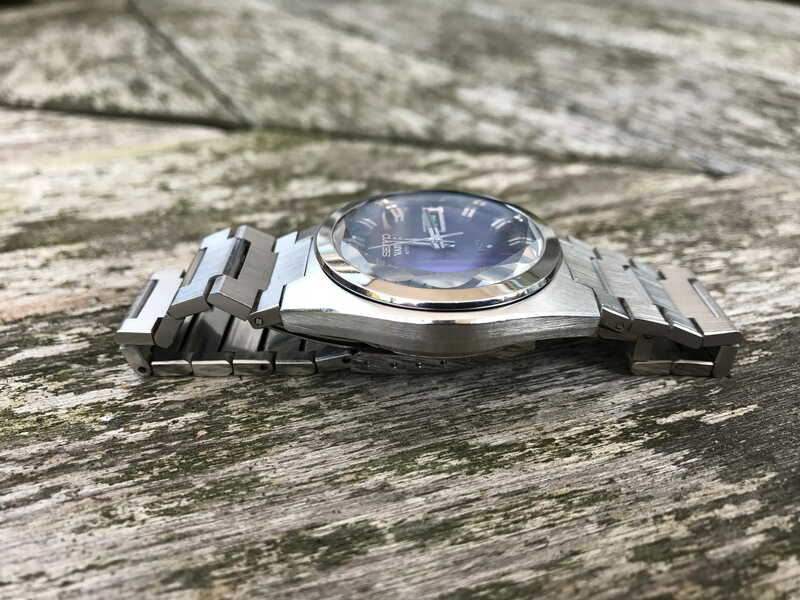 So in this sense, vintage automatic King Seikos may practically be the equivalents of Grand Seikos, but offer better value for money because of the ongoing status of the Grand Seiko label - whereas the KS label is now purely historical. 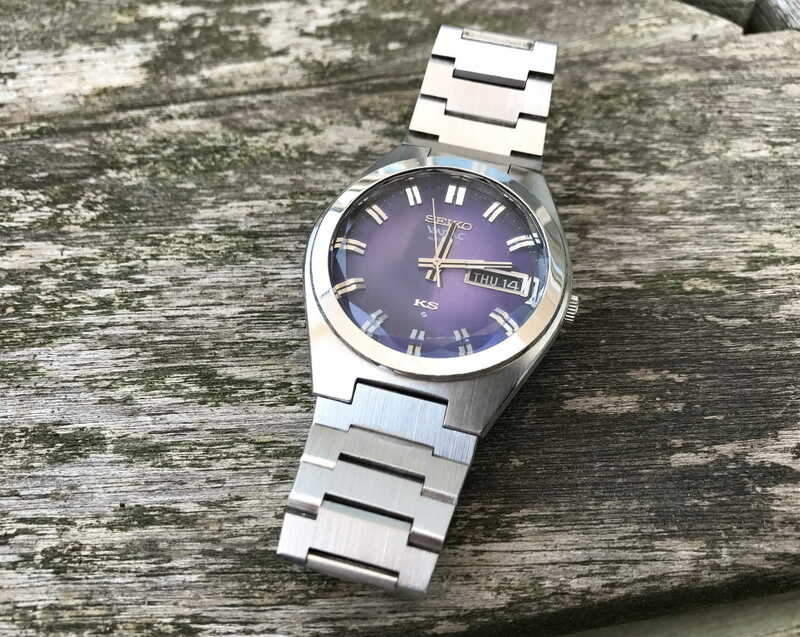 The King Seiko Vanac was manufactured between 1972 and 1974 only, in a number of variations, but all sporting colorful dials, facetted crystals and angular cases. Both Seiko production plants contributed, Suwa with the standard KS 5626 caliber and Daini with the 5246 and 5256 calibers that exist in some normal KS but are most common as Vanacs. A Vanac is basically/exceptionally a KS with added extras: faceted glass, a gold bezel, a high quality bracelet (no folded metal links here) and drilled lugholes (but not all). The Vanac JDM (Japanese Domestic Model) in the photos below is practically unused, meaning that is has seen some use but only on occasions. It sure looks the part! King Seiko was second to the Grand Seiko as top of the line Seiko during the 1960’s and 70’s. That, I am happy to state, is very apparent, for even after 42 years of service a KS can run as new to specifications (as most in my collection do). Only one other watch surpasses this performance, and it is a Seiko (of course). Some of the models (but not this one) feature an unique external adjusting screw so that the movement can be adjusted with out removing the movement from the case. That would be the 5626-7000/7010. 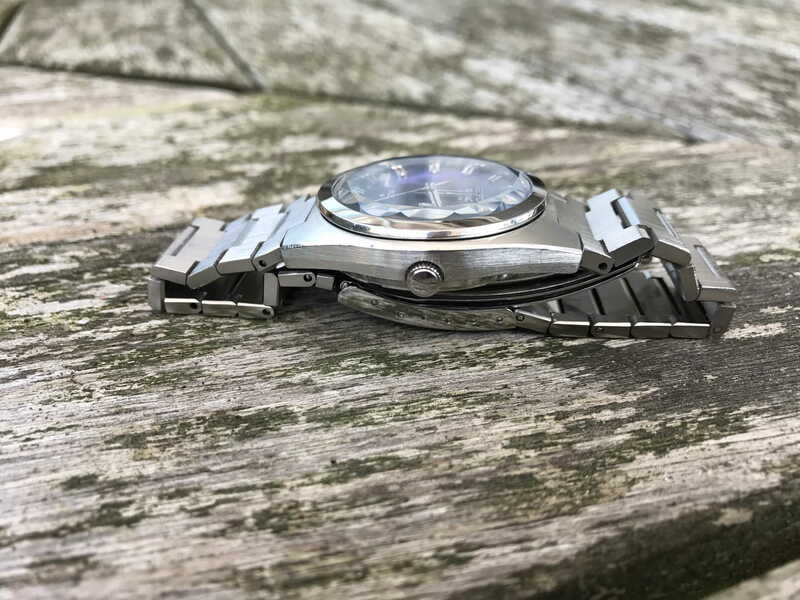 Of course much of what has been said about automatic King Seikos could also be said about automatic Grand Seikos and even some of the Lordmatic (LM) models of the same period. The LM range also used both the 56xx and 52xx movement streams (although lower grade versions, and in the case of the 5606 lower beat), while many Grand Seikos of the period used the 56xx stream. Although the GS 56xx movements were numbered 564x rather than 562x indicating a higher quality and/or level of adjustment, the accuracy it is possible to achieve from 562x KS movements suggests to me that if serviced and adjusted, they are effectively equal to the GS 564x ones. 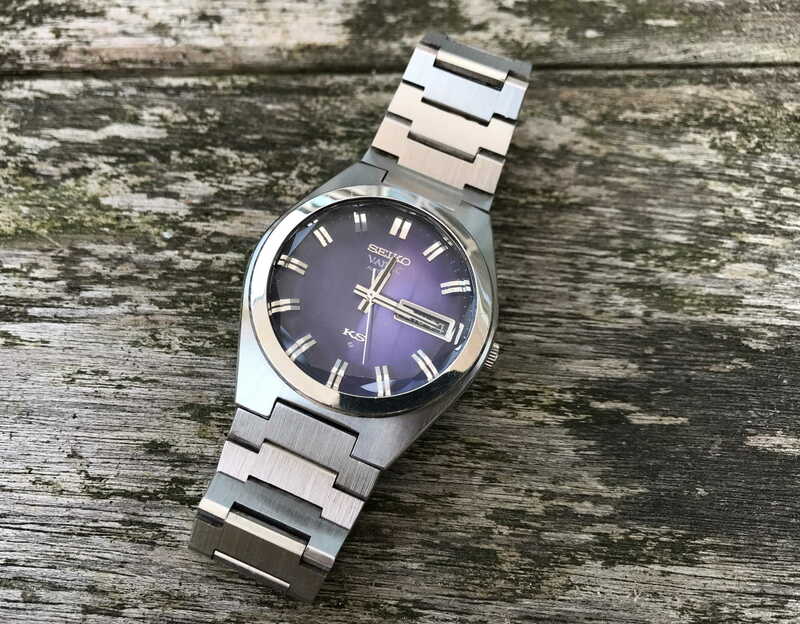 So in this sense, vintage automatic King Seikos may practically be the equivalents of Grand Seikos, but offer better value for money because of the ongoing status of the Grand Seiko label - whereas the KS label is now purely historical.